The London Tasting Panel is one of many CAMRA Tasting Panels across the UK. They are responsible for tasting all the beers that are regularly brewed within the Region, in this case London, and for submitting the descriptions to CAMRA's Good Beer Guide. They also put forward beers to CAMRA's Champion Beer of Britain Competition. All of the Panel members are volunteers, who have been trained. From time to time, training sessions take place to bring in new tasters. You can read about the taste training done at Sambrook's Brewery: Tasting the usual and no so usual at Sambrook's Brewery. No experience is necessary just a willingness to fill in tasting cards throughout the year (around one to two a month) and seek out London Breweries' beers. The Panel get together a couple of times a year to visit breweries and help standardise the scoring on the cards. 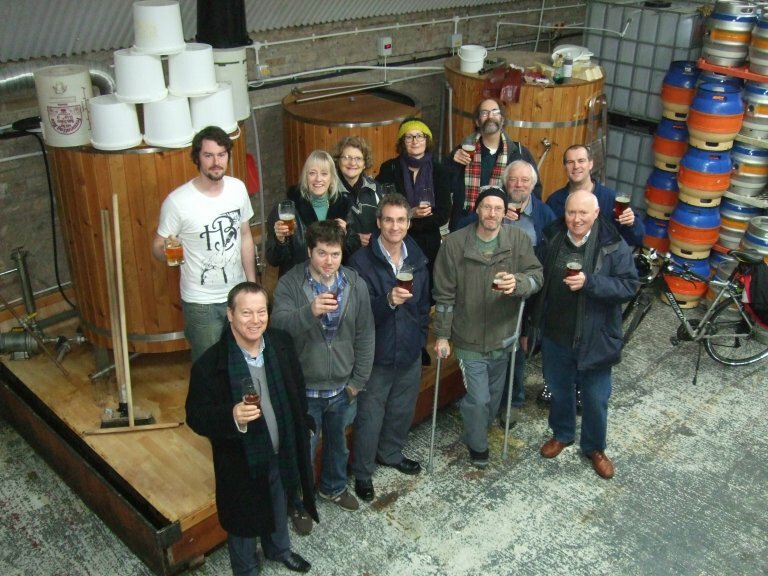 You can find details of some of their trips in the London Breweries page. Although there is no date agreed for the Full Taste Training Course for the Tasting Panel, there are a number of other CAMRA beer tasting courses run throughout the year. These include Beer Appreciation, Off Flavours in Beer and Beers from Around the World. You can fid details of these courses on Christine's website: http://cryneinyourbeer.sitelio.me/. Scan to the bottom! In the meantime, using the National Beer Scoring Scheme using WhatPub (http://www.beerscoring.org.uk) is a good way of getting into the habit of scoring - no training needed for this.